Google will not allow its artificial intelligence (AI) software to be used in weapons or unreasonable surveillance efforts under new standards for its business decisions in the nascent field, the Alphabet unit said on Thursday. The restriction could help Google management defuse months of protest by thousands of employees against the company's work with the U.S. military to identify objects in drone video. 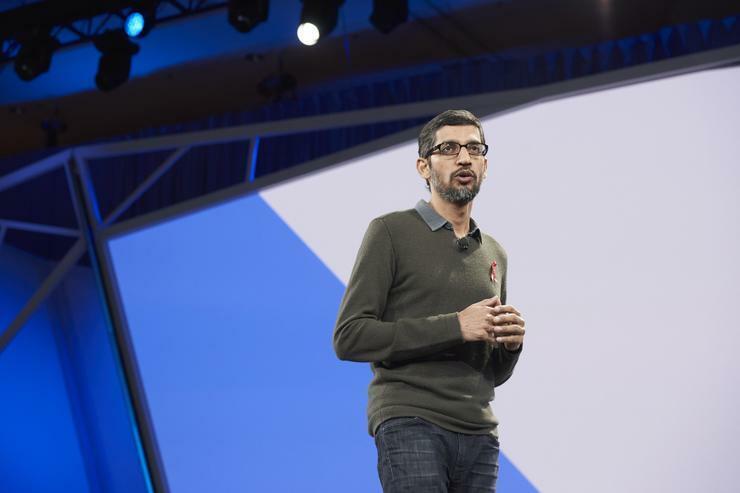 Google instead will seek government contracts in areas such as cybersecurity, military recruitment and search and rescue, CEO Sundar Pichai said in a blog post. "We want to be clear that while we are not developing AI for use in weapons, we will continue our work with governments and the military in many other areas," he said. Breakthroughs in the cost and performance of advanced computers have carried AI from research labs into industries such as defence and health in the last couple of years. Google and its big technology rivals have become leading sellers of AI tools, which enable computers to review large datasets to make predictions and identify patterns and anomalies faster than humans could. Google plans to honour its commitment to the project through next March, a person familiar with the matter said last week. The Google official described the principles as a template that any software developer could put into immediate use. Though Microsoft and others released AI guidelines earlier, the AI community has followed Google's efforts closely because of the internal pushback against the drone deal. Google's principles say it will not pursue AI applications intended to cause physical injury, that tie into surveillance "violating internationally accepted norms of human rights," or that present greater "material risk of harm" than countervailing benefits. "The clear statement that they won't facilitate violence or totalitarian surveillance is meaningful," University of Washington technology law professor Ryan Calo tweeted on Thursday. Google also called on employees and customers developing AI "to avoid unjust impacts on people," particularly around race, gender, sexual orientation and political or religious belief. Google's decision to restrict military work has inspired criticism from members of Congress. Representative Pete King, a New York Republican, tweeted on Thursday that Google not seeking to extend the drone deal "is a defeat for U.S. national security."